Envelop yourself in luxury! 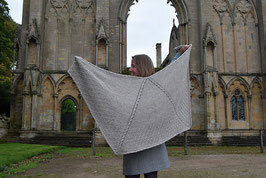 The Greyfriars Shawl is a sophisticated wrap that is knit in my gorgeous Mulberry Silk (50%) and Extra Fine Merino 4 ply yarn. The design features slipped and wrapped stitches that beautifully show the natural sheen and lustre of the silk. The colourway shown is Blue Steel. The kit contains two 100g skeins of Mulberry Silk (50%) and Extra Fine Merino Yarn (50%) (495m/100g) and an electronic version of the pattern (this will either be emailed as a free Ravelry download code or as a pdf attachment). We always ensure that your yarn is from the same dye-lot and we may need to dye your yarn as a special order. Finished size (approx): width 185cm and depth 85cm. 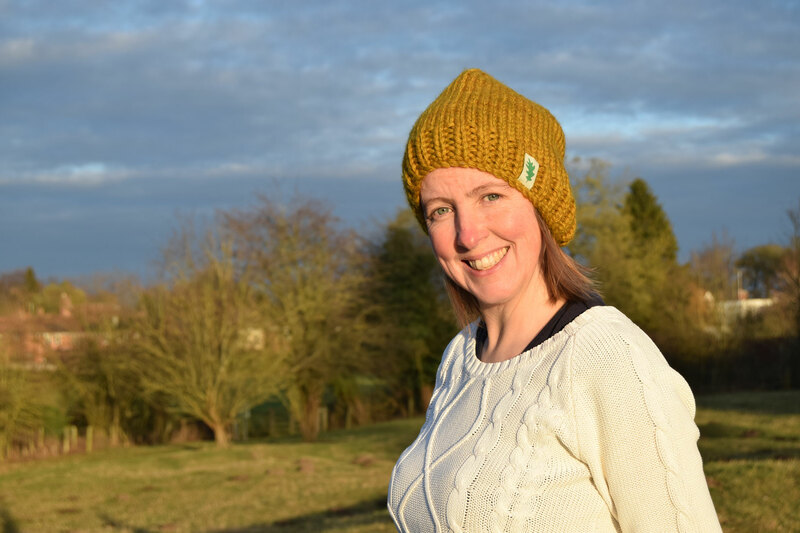 Verena Cohrs of Sustainablist has designed this beautiful cabled, roll neck sweater using our gorgeous Bluefaced Leicester and Masham aran weight yarn (colourway shown is Lichen). 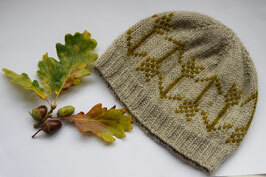 It is recommended that Borke is worn with 4" of positive ease and it is knit using 4.5mm and 5mm needles. 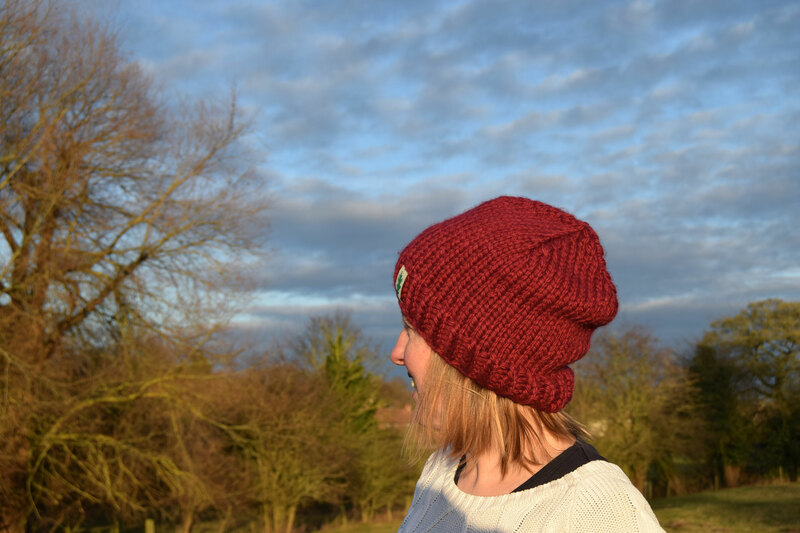 Pre-order your yarn kit for Borke, just select your size from the drop down menu below and when you check out state the colourway that you require. All yarn will be dyed to order! Please note you will need to purchase the pattern for Borke separately from Sustainablist. My Ada shawl is named after Ada Lovelace, daughter of Lord Byron. A mathematician, she is often credited with being the first computer programmer. Ada is knit in my British Bluefaced Leicester (70%) and Masham (30%) worsted yarn. The colourway shown is Limestone, choose your favourite from the drop down menu below. 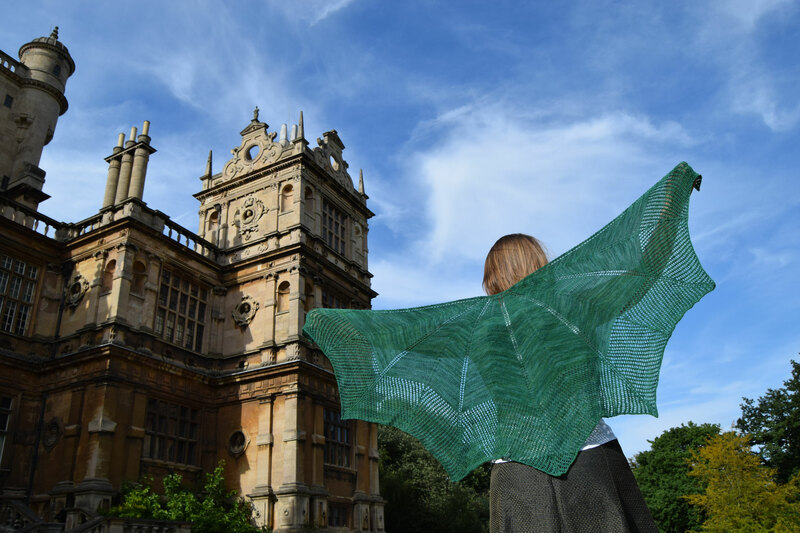 This kit contains the yarn required to complete the shawl and an electronic copy of the pattern (either as a code for you to download off Ravelry or a pdf emailed to you). The yarn may be dyed to order to ensure all skeins are from the same colour lot. Eadburh is a slouchy oversized beanie, knit in Sherwood Yarn British Bluefaced Leicester Super-Chunky yarn. Hand-dyed using our own blended colourways, inspired by Sherwood Forest! Your kit will include two skeins of yarn and an electronic copy of the pattern (you will be given a Ravelry download code). If you would prefer the pattern emailing to you directly then please mention this at checkout. Colorways shown are King's Ransom and Blackberry (we have lots of other yummy colours too :) Select your favourite colourway using the drop-down menu! Fletcher is a stylish, tailored hat that features a contemporary arrow design. Inspired by the ancient tradition of arrow making in Nottingham. This kit contains one 100g skein of Limestone and a 25g mini-skein of Greendale in Bluefaced Leicester (75%) and Masham (25%) worsted yarn. This is an entirely British yarn that is spun in Yorkshire and hand-dyed in ancient Sherwood Forest. The pattern for Fletcher will be supplied in the form of a Ravelry download code, this will allow the pattern to be downloaded as a pdf file at the knitters convenience. 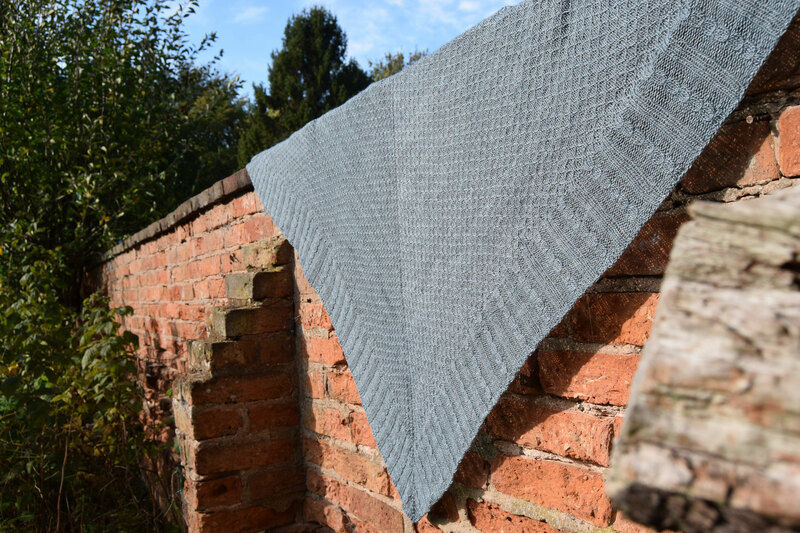 This kit contains a single skein of 100% Falkland Fine Merino Laceweight yarn (100g / 800m) and the pattern for Wollaton (supplied in the form of a Ravelry download code, this will allow the pattern to be downloaded as a pdf file at the knitters convenience). The yarn is spun in Yorkshire and hand-dyed in the heart of ancient Sherwood Forest, the colourway shown is Lyncolne Grene (you can choose your favourite colour from the drop down menu). Your yarn may be dyed to order for this kit. 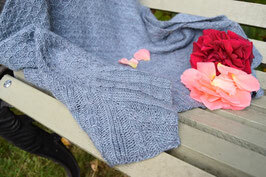 The yarn for this stunning cardigan, by Solène Le Roux, can be purchased as a yarn kit. The kit will contain ample yarn to complete Flame Bowerbird (you will need to purchase the pattern separately, this can be found on Solène's Ravelry site). The yarn used for Flame Bowerbird is my Bluefaced Leicester Sock yarn (385m/ 110g) in the colourways: Silver Birch (main colour), Will (contrast 1), King's Ransom (contrast 2) and Lyncolne Grene (contrast 3). The yarn for this kit will be dyed to order and will contain a selection of full skeins (110g) and mini skeins (55g). To purchase a Flame Bowerbird Yarn Kit select your size from the drop down menu below!